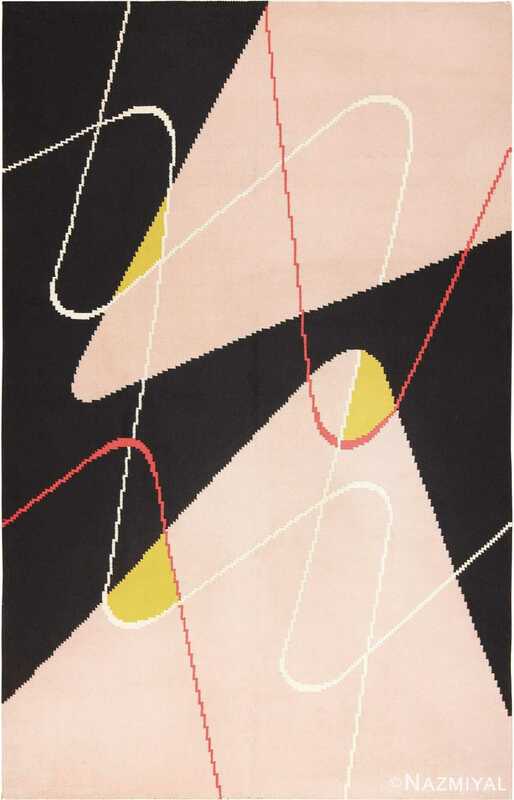 A Beautifully Artistic Black And Cream Colored Flat Woven Vintage French Art Deco Rug, Country Of Origin / Rug Type: French Rugs, Circa Date: Vintage Mid 20th century – The bold pattern of this black, pink, cream, and yellow Art Deco vintage French rug is an excellent example of early postmodern artwork. The French Art Deco movement was the inspiration for postmodern design, and it still finds a loyal following in modern contemporary design because of its bold use of both shape and color. 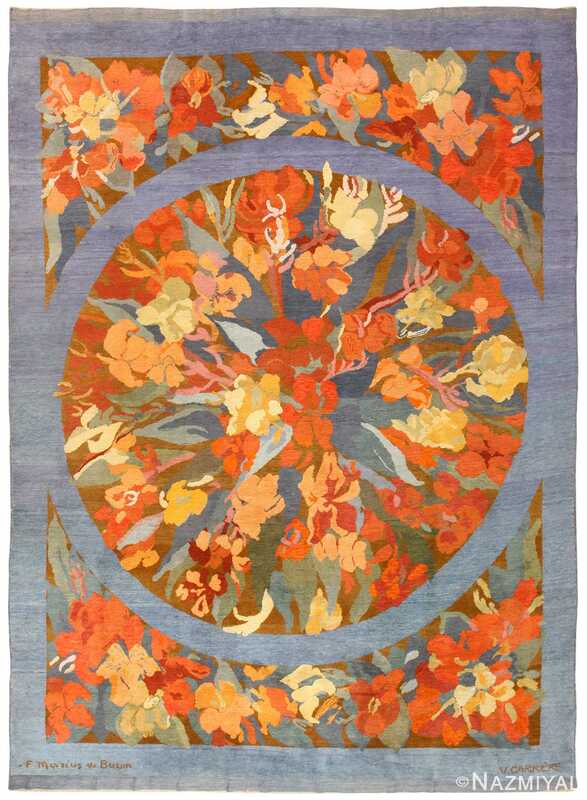 The essence of this beautiful flat woven rug is to bring together a world of contrast. 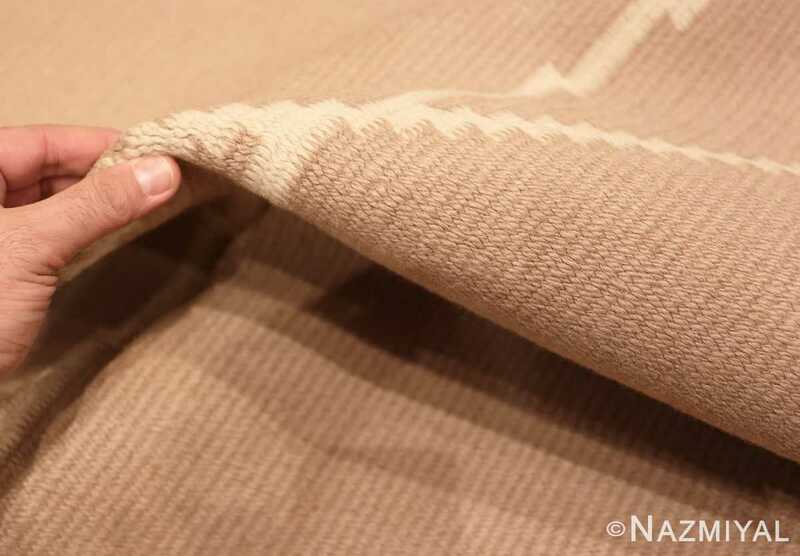 The feature that stands out about this kilim rug the most is its use of line to connect areas of contrasting colors. The wave forms contain elements of both straight lines and sweeping curves. 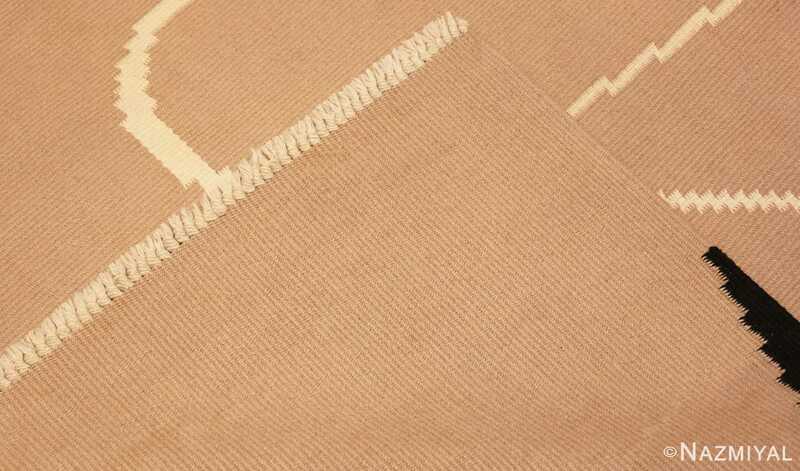 The lines of the waveform are used to connect the various sections of the flat woven Vintage French Art Deco rug by continuing across the various design elements. 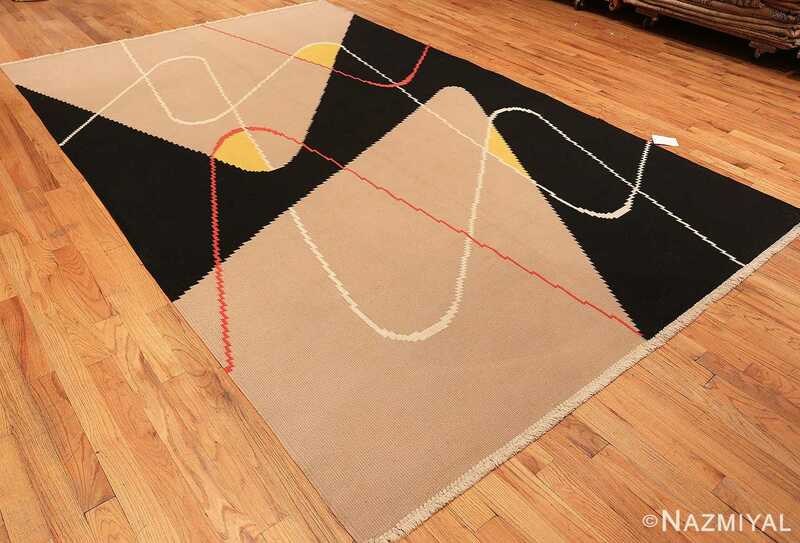 The use of space in this vintage rug is unique because the major shapes draw attention to the diagonal rather than the horizontal and vertical. The artistic design is executed in a way that makes it appear that the wave forms are superimposed on a divided background. Rather than using white space as negative space, the artist chose to use black to make it appear as if the shapes are floating in space. Even without using the traditional elements of repetition and symmetry to create a sense of balance, the artist who created this magnificent work of textile art still managed to achieve an overall design that has depth and perspective. 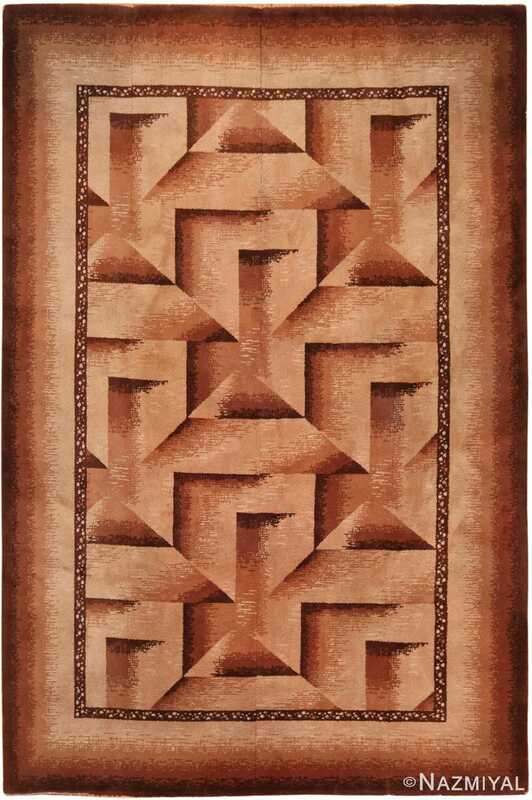 This flat weave French Deco kilim rug uses simple lines and shapes yet is complex in its artistic impact and execution. It would make an excellent addition to any contemporary or modern room interior decor.